On Saturday, the 19th match was played in between Royal Challengers Bangalore and Delhi Daredevils and after losing the toss Delhi Daredevils came to bat first. While batting first Delhi Daredevils made 174 runs by loosing 5 wickets with the help of Rishabh Pant and Shreyas Iyer's brilliant knocks. Royal Challengers Bangalore that came to chase the score completed it in 18th over. 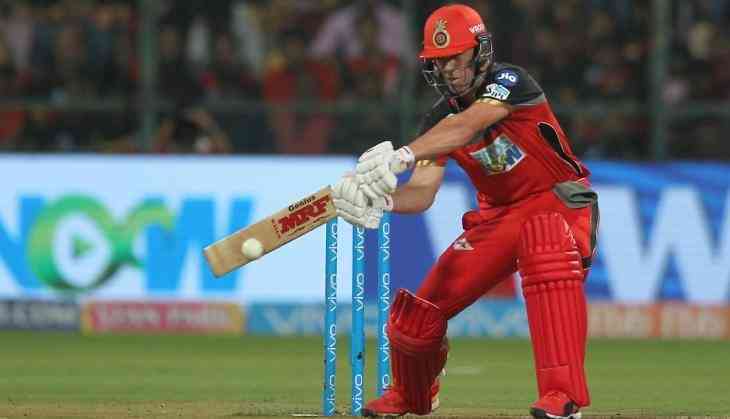 AB De Villiers played the most entertaining innings from RCB side and he made 90 runs on 39 balls with the help of 10 fours and 5 sixes. On the other hand, skipper Virat Kohli made 30 runs on 26 balls, and in this inning, he hit one six and one four. However, he got out through a brilliant catch by Trent Boult on the boundary. 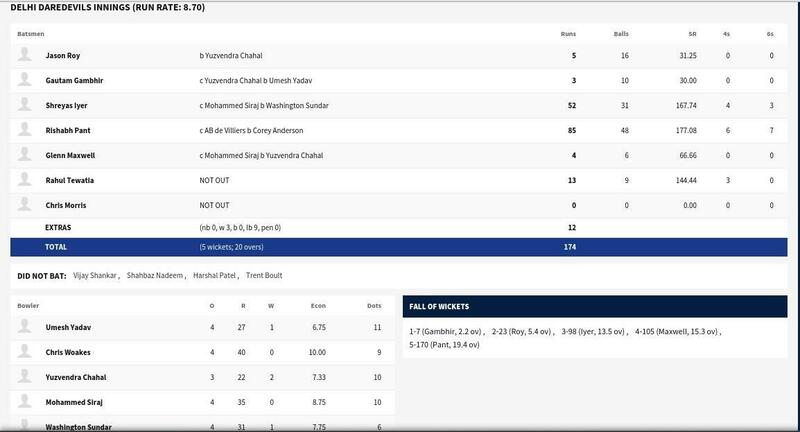 Well, before this Delhi Daredevils came to bat and lost their first wicket in the form of skipper Gautam Gambhir as he just got out on 3 runs. Whether Jason Roy also got out on 5 runs. 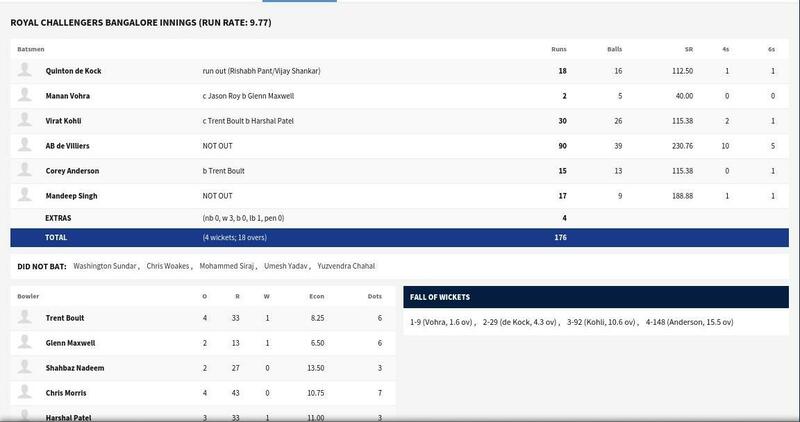 Then Shreyas Iyer and Rishabh Pant took the innings of Delhi Daredevils, Iyer made 52 runs on 31 balls, on the other hand, Rishabh Pant hit 85 runs on 48 balls. Their both best innings helped Delhi Daredevils to get the score 174 runs. However, this didn't help them to win the match. On the other hand, RCB that was losing their match in last few games got the momentum through this win.